A very modern instrument. 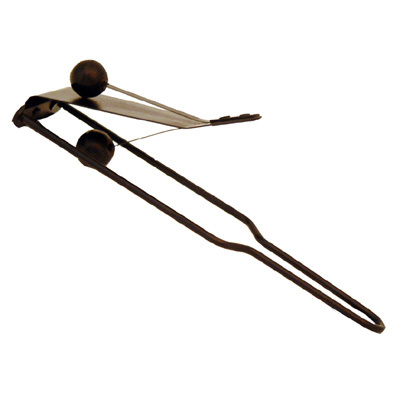 When moved, the beaters hit the metal plate producing sound vibrations. The thumb can be used to tension the plate, causing a change of pitch.